DANANG – A delegation of Japanese businesses has visited the central city of Danang to sound out investment opportunities in the tourism and information technology (IT) sectors. The delegation of the Japan-Mekong Business Cooperation Committee (JMBCC) comprising businesses active in tourism, aviation, IT and banking held talks with leaders of Danang City on March 14 to promote trade and investment ties. At the meeting, JBMCC chairman Yoichi Kobayashi said Japanese firms highly valued the potential of tourism and IT cooperation with Danang. But they worry about the shortage of high-skilled workers in the city, especially those who speak Japanese. Danang chairman Huynh Duc Tho said the city is seeking cooperation with its partners to address the worker shortage. Tho said the city has achieved growth of about 20% in recent years, putting pressure on tourism infrastructure. He proposed Japanese businesses invest in leisure, exhibition and environmental protection projects. The Danang leader suggested Japanese firms active in electronics, software, nanotechnology and environmental technology invest in the Danang Hi-Tech Park which offers numerous incentives to investors. As of late 2017, US$629 million of US$3.04 billion in total foreign direct investment approvals in Danang had come from Japanese firms. The city welcomed 2.3 million foreign tourists last year, with 140,000 visitors from Japan. 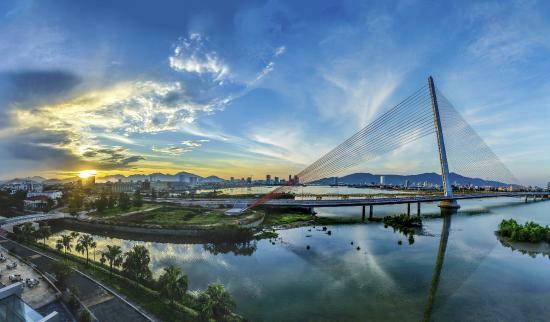 See more: Why Da Nang is a Place for Setting up Business?